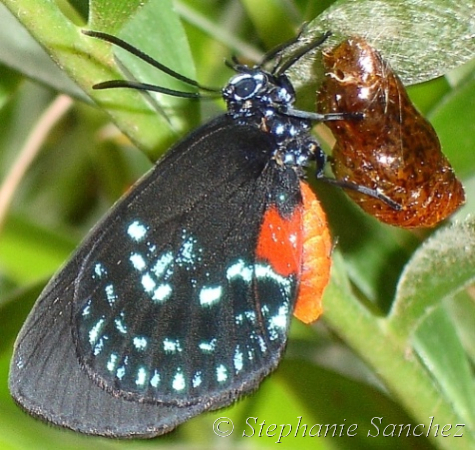 Identification: Abdomen red-orange. 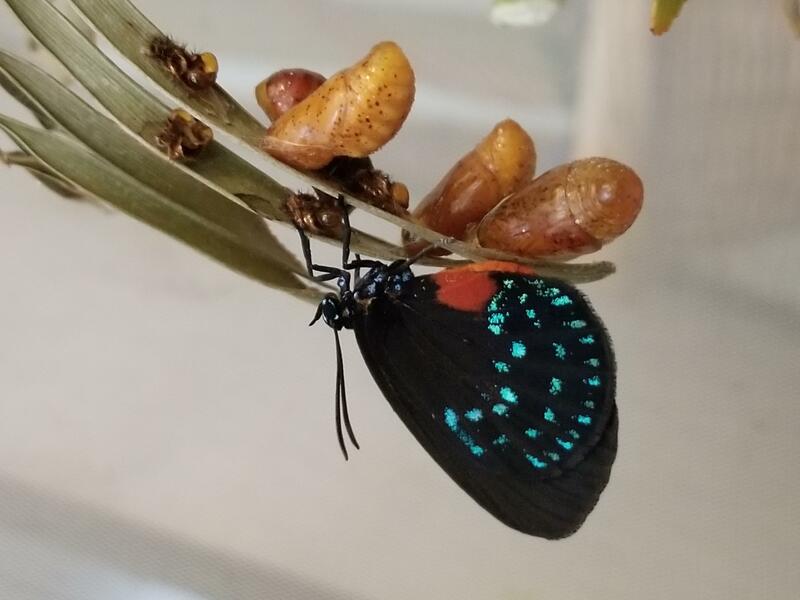 Upperside of male wings soft black with iridescent green overlay and markings; female has blue iridescence at basal areas. Underside dull black, hindwing with large red-orange spot and 3 rows of irregular iridescent gold spots. 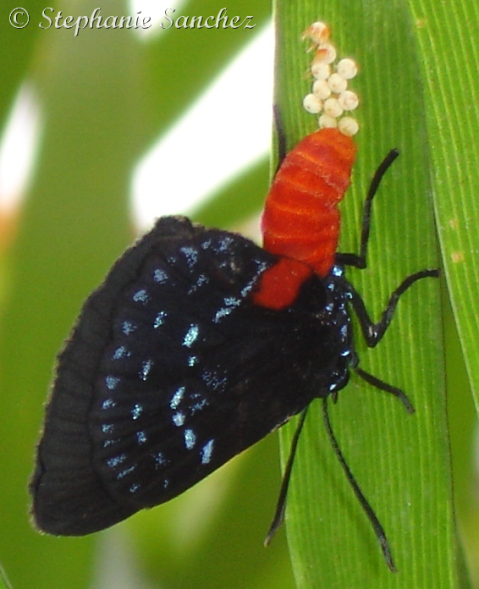 Life History: Eggs are laid in groups on upperside of leaf tips. 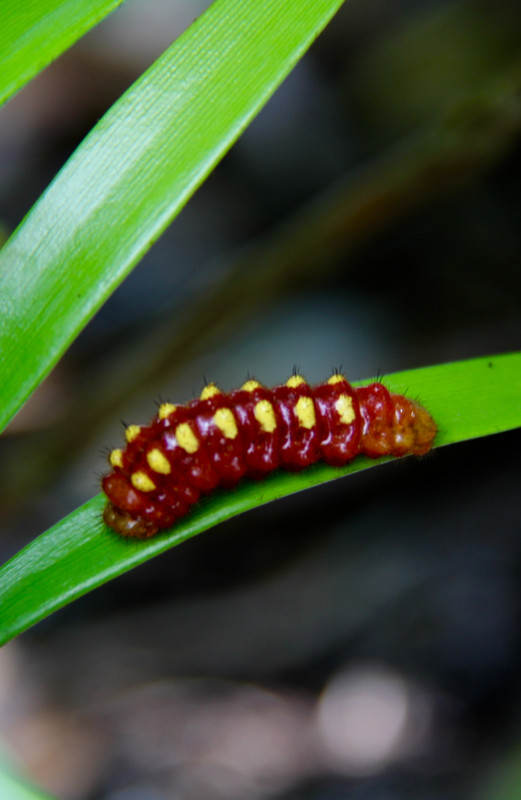 Caterpillars feed in groups out in the open. Flight: Many flights throughout the year, but most common in early summer. 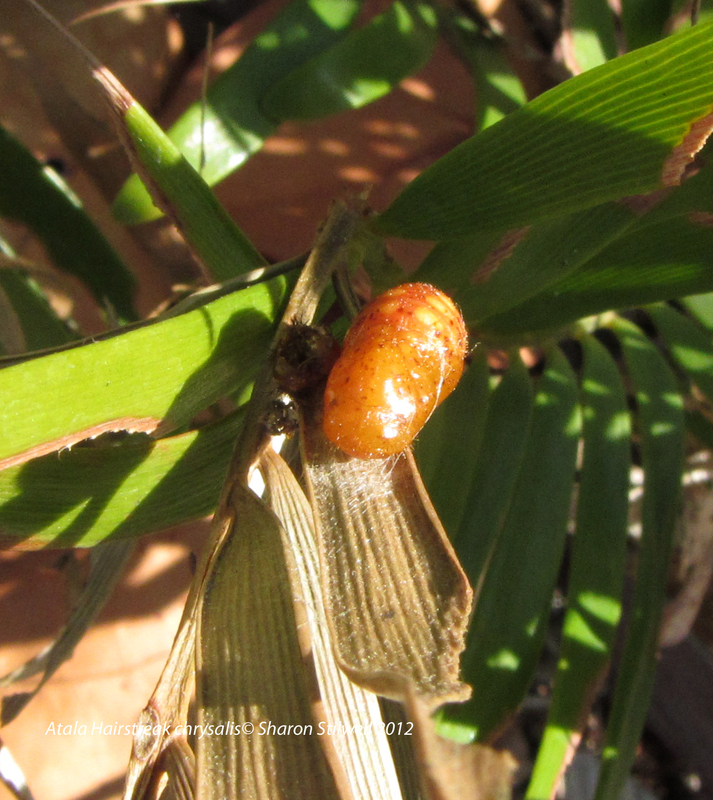 Caterpillar Hosts: Coontie (Zamia pumila), a shrubby, fernlike native cycad of Florida and the Bahamas; several other introduced plants of the family Cycadaceae. 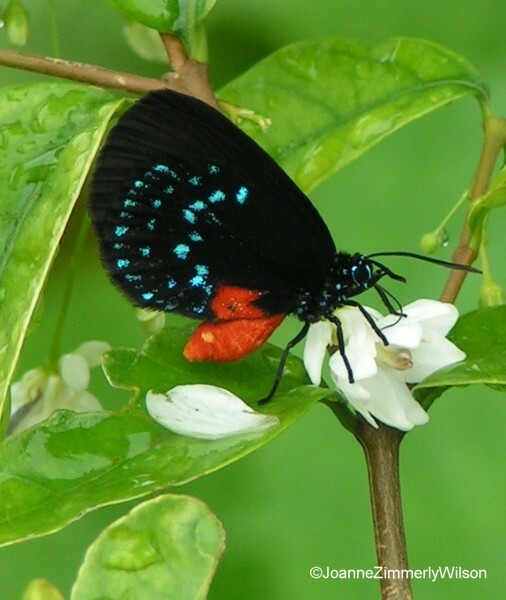 Adult Food: Nectar from flowers including lantana, periwinkle, shepherd's needle, and wild coffee. Habitat: Subtropical shady hammocks and neighboring open areas; gardens with ornamental cycads. Range: Southeastern Florida and the Keys, the Bahamas, and Cuba. 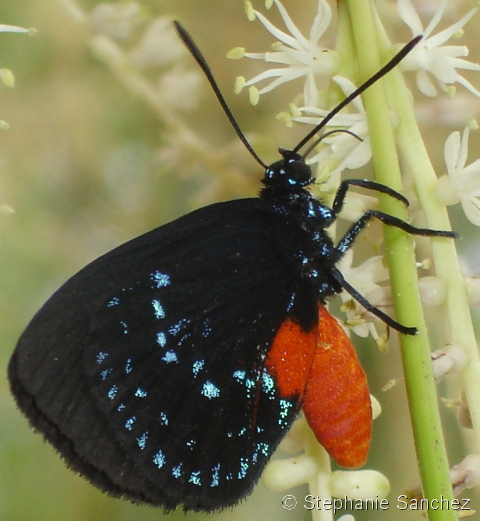 Conservation: Eumaeus atala florida is ranked endangered by the State of Florida; may recolonize from the Bahamas. Subspecies florida has The Nature Conservancy rank of T3 - Very rare or local throughout its range or found locally in a restricted range (21 to 100 occurrences). (Threatened throughout its range). Management Needs: Prevent destruction of habitats with Coontie. 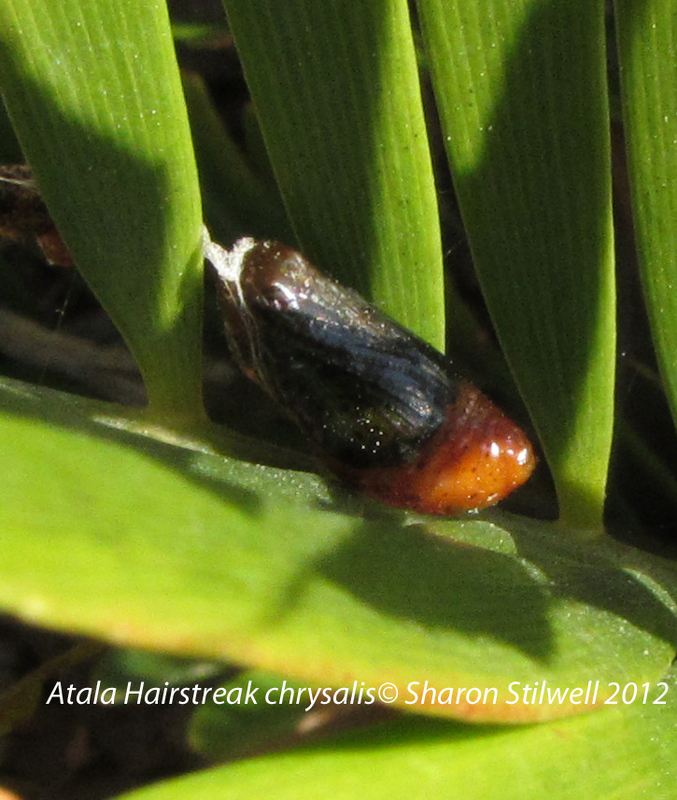 Control of caterpillars on ornamental cycads is sometimes necessary. Reintroduce Coontie to the Florida Keys.